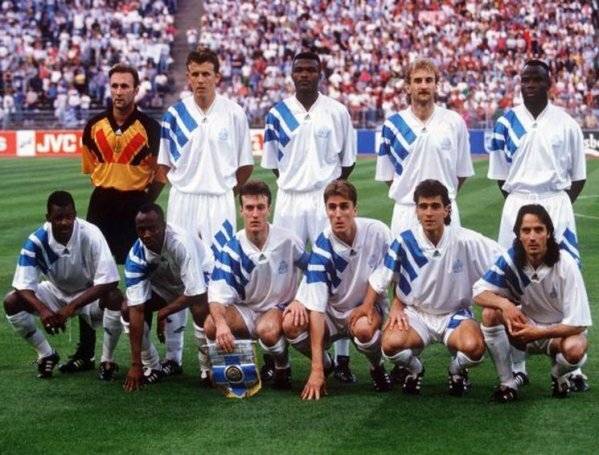 With a star studded side containing players such as Didier Deschamps, Alen Bokšić, Rudi Völler, Abedi Pelé, Basil Boli, Marcel Desailly and Fabien Barthez the Olympique de Marseille side of the early 1990's should have been set up for success, but their colourful owner Bernard Tapie wasn't in the habit of taking chances. For five straight season between 1988-1989 and 1992-1993, Marseille owned the French league title. But besides hoovering up some of the most talented players from across Europe and beyond, Tapie was also regularly buying off opponents to ensure his side's success. 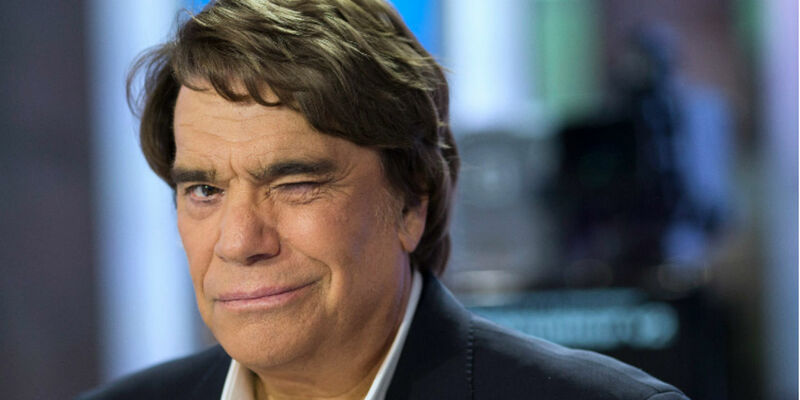 Despite rumours of his impropriety swirling around the French domestic game, and an increasing number of strange looking results, the footballing authorities refused to pursue the matter and Tapie's scandalous subterfuge continued on unimpeded. Besides the club's dominance in France, the prize Tapie really had his eyes on was the European Cup and although it's never been proven, there are allegations that Marseille's corruption didn't stop at their own borders. In 1991 the club made it through to the final of Europe's premier cup competition, but were undone on penalty kicks by a brilliant Red Star Belgrade side. Undaunted, Tapie added to what was already a glittering squad and in 1993 they returned to the final where they would meet up against the dominant team of the era, Fabio Capello's AC Milan. Before the final, Marseille defeated Valenciennes to wrap up the French title in a match that would later have dire consequences for the club. They were well rested as they took on Italy's finest and although they were the underdogs, they were quietly confident of victory. Milan, with Marco van Basten and Paolo Maldini among their ranks, started well and had great chances to score through Van Basten and Daniele Massaro. Eventually though, they were undone by a 43rd minute header by Ivorian-born French international Basil Boli. Despite a few threatening attacks in the second half, Milan were unable to find an equalizer and fell 1-0. In becoming the first French side to capture the European Cup, it should have been a glorious time in Marseille's history. But Tapie's house of cards was about to come tumbling down. Prior to the aforementioned match with Valenciennes, several of their players alerted their manager Boro Primorac that they had been offered money to take it easy on the soon to be crowned league champions. Primorac notified the French authorities, and finally after years of turning a blind eye to Tapie's machinations they fully investigated the matter and found the club guilty of wide reaching corruption. They did however get to keep the European Cup, despite allegations of bribery in a few of their Champions League matches leading up to the final. In particular, their 1-0 over Brugge came under investigation for potential match fixing and the 6-0 drubbing of CSKA has also come under suspicion. No evidence of wrongdoing on the part of Marseille that year has ever been proven though and their name remains on the list of European Cup/UEFA Champions League winners. Tapie, for his role in the scandal, was removed as president of Olympique Marseille and would later be sentenced to two years in jail.